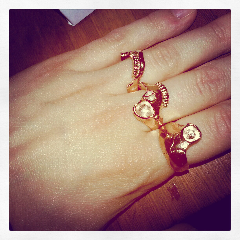 Here's my new golden finger shaped ring by Japanese brand Aquvii who are known for the 3 part skull rings. 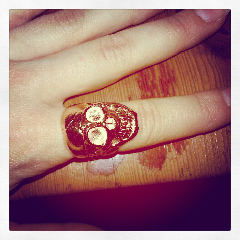 I got the goldfinger and the skull rings at Oukan in Berlin on Saturday. 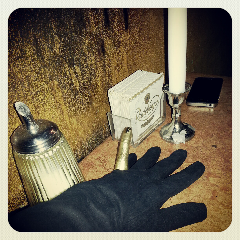 I love how people react when they see the finger ring.